The farm is showing its abundance and our hard work is being harvested in fruit and vegetables. Zucchini and summer squash are getting fat on the plant. We have begun our cherry tomato harvest and we have been having little fresh salads. The first little eggplants and peppers have formed and should be ready to harvest by the end of the month. The strawberries came back! And they are fatter than before and so sweet. 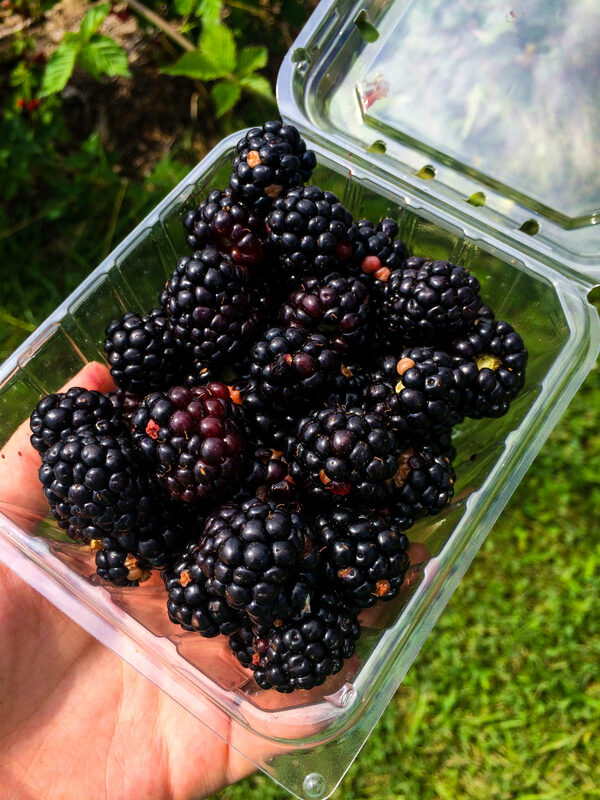 We have been mixing them with our fresh blackberries and raspberries in delicious drinks and deserts. The greens are still going strong and we are so proud. Bugs are everywhere including the squash bug and the Japanese beetle, both pests that we have to try and divert in a natural and organic way. The first zinnias and sunflowers are blooming, bringing color to our fields. Also a bountiful growth of basil is a perfect addition to tomato salad and summer time pastas and pizza. July’s lesson is “YES!” Good food comes to those who plant, weed, wait, and hope! And of course to all you out there who support us.